The contemporary idealist believes that democracy is an unified umbrella of benediction that protects nations from tyranny. The world is finding out to its cruel cost that it is not so, and there are many kinds of democracy. The leaders of America, Russia, Egypt and Syria are all elected. So is Syria’s President Hafez al-Assad, who won over 97 per cent of the total vote in his first two elections and 88.7 per cent in 2014. 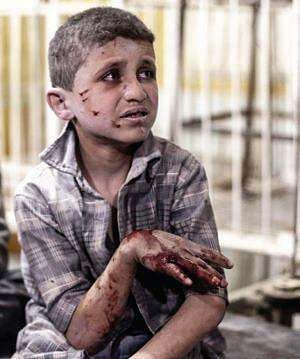 As an unprecedented massive refugee crisis and heart-rending pictures of drowned babies and scarred faces of little girls sear the world’s conscience, the Syrian war is a metaphor of brutal irony—a democracy defending itself against invaders and jihadis, who are supported by other democracies, and is in turn protected by a democracy as other democracies make mischief on the sidelines. Meanwhile, in Syria, the ones who are being gassed, raped, killed, trafficked and exiled are its voters. The West’s arrogant belief that it could implant the Westminster Model or the Presidential Model everywhere is responsible for the deaths of 4,65,000 Syrians, over a million injured, and over 12 million displaced. Saddam Hussein, too, was elected but that didn’t prevent pro-oil daddy’s boy George Bush from turning the Middle East into a desert of death. The US believes its model is both the only way and the highway. But no democracy is the same simply because all societies are not the same. Just as in Iraq, the 2010 Arab Spring supported by the US and its European vassal states in democracy’s name destroyed established governments, social structures and economic models, subsequently allowing murderous terror regimes like IS to flourish—the innocence of youthful Arab hope was betrayed by the self-righteousness of Barack Obama’s world view. The aftermath destroyed centuries of civilisation and the gains of non-Western styles of democracy. Tribal societies such as Iraq, Syria, Jordan and Pakistan as well as feudal cultures like Egypt have their own value systems, which are inexplicable to the Western world. And indigestible to the US, now alarmed by Russia’s presence in Syria, is that Syrians have a different take on the war. 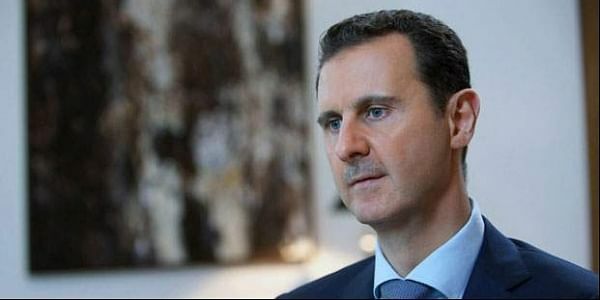 An ORB poll showed 63 per cent of Syrians believe the anti-Assad Coalition is a negative influence though they do want “free and fair” elections. Another poll found while most Arabs outside Syria feel Assad should quit, 55 per cent of Syrians do not. Syria claims that the rebels orchestrate chemical attacks to malign the regime; now it seems Donald Trump, whose own presidency is in free fall, has found his WMDs in Assad’s arsenal. The UN has not determined responsibility for the recent Douma attack while the US does not even know which chemical was used, or whether it was actually used by government forces. There is little clarity of responsibility in Syria where a motley bunch of jihadists, militia groups, ethnic armies, ancient hostilities and alien governments are fighting and blaming each other for the horrors that are laying waste to the land.Though President Assad—for long reviled by the Western media as the Butcher of Damascus—is no saint, he is the only element of stability in a region which is alarmingly vulnerable to Islamic terrorist rule. Interfering in a democratic structure, however subjectively flawed it may be, will only deepen the civilisational divide between them.